ZF Marine produces transmissions for all types of craft in a power range from 10 kW to 14,000 kW. Numerous configurations are available to suit all types of propulsion arrangements. 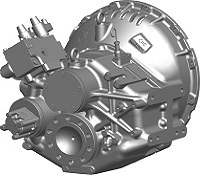 Due to their versatility, ZF Marine transmissions match most applications. Parts & Power stock, supply and install ZF Caribbean transmissions. 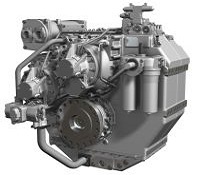 The ZF Marine product range for pleasure craft applications includes a wide variety of transmissions for engine outputs of up to 1,400 kW, for all installation configurations – vertical offset, down-angle, coaxial and vee-drive. While the mechanically operated “M”-series transmissions are typically installed in sailboats and river craft, the larger transmissions are primarily employed in various types of pleasure craft including ski-boats, sport-fishing boats, cruisers and luxury motor yachts. A comprehensive range of 2-Speed power-shift transmissions is on hand, when optimum acceleration, safety and maneuverability are determining factors. Transmissions for large motor yachts, naval, customs and coastguard duties as well as fast ferries all require compact, high performance transmissions, most of which are specially configured to comply with ship designer’s requirements. These transmissions can be rigged with special optional equipment, monitoring systems etc. to meet stringent environmental and technical specifications where safety, availability and reliability are of utmost importance. Highest quality standards, intelligent design concepts and ease of maintenance ensure compliance with specified operating profiles at minimum down-time and life cycle cost. While all ZF Marine transmissions are robustly built for high reliability and long life, applications in commercial vessels with extended annual operating hours in all weather conditions are extremely demanding. ZF Marine provides a complete line of heavy duty gearboxes with cast iron casings and deep ratios for all types of vessels from tugs to tankers – fishing boats to factory ships. Various non-reversing transmissions are available, with hollow output shaft, designed for controllable pitch propeller (CPP) operation. 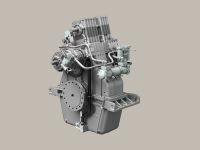 Moreover ZF Marine supplies complete propulsion packages. Contact Parts & Power for all your marine transmission requirements in the Caribbean.